SLOW is pleased to offer a Night Orienteering series with five races from late October to March. Overall series results will be calculated, but you are welcome to run at just one or two if you like. All are based at a pub. All are accessible by public transport. All have start times from 1800 to 1930 with courses closing at 2030. All have a long course of 5k and a short one of 2.5k. All use SIAC contactless punching; cards can be hired if you do have your own. All cost £3 for SLOW members and Juniors. £5 for others. with £1 extra for SIAC dibber hire. The events typically take place on the fourth Tuesday of the month. The schedule for 2018-19 is this. Full details on each event are posted here on the SLOW website a couple of weeks before the event. If you would like to contact any of the organisers, please email the series coordinator Don McKerrow at to be put in touch. The entry fee is £3 for SLOW members, students and juniors; £5 for others. The races use both SIAC contactless and SI electronic punching; SIAC cards are available to hire for those who do not have their own. 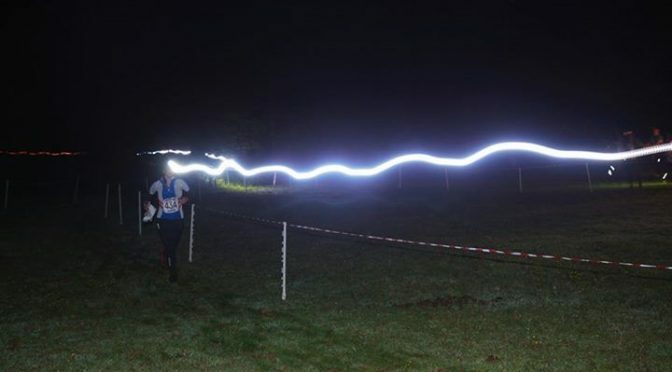 A small number of headlamps are also available to borrow for free but you need to e-mail the organiser in advance of each race to reserve one. The overall results will be based on your best three scores in the series, and there will be prizes for the leading man and leading woman over the series. In the event of a tie, head-to-head results will be used. Results of the 2017-2018 Night Series.